As longtime chanteuse with the World Famous Glenn Miller Orchestra, JULIA RICH has performed across the Americas and around the globe: from Iceland to Brazil, from the Hollywood Bowl to Lincoln Center, from the World’s Fair in Seville to Orchard Hall in Tokyo. She appears on several Glenn Miller Orchestra recordings and videos and has five solo albums on the Cardinal label. 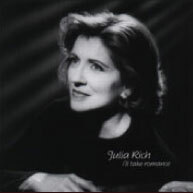 Julia’s renditions of both jazz standards and original songs can be heard on radio and as a regular feature of TV’s Music Choice: Singers and Swing alongside such greats as Frank Sinatra, Ella Fitzgerald, Peggy Lee, Billie Holiday, Diana Krall and Paul McCartney. Julia specializes in Jazz Standards from the Great American Songbook spiced with not only her Originals but also a bit of Vintage Pop. For Booking a performance or clinic, please use the CONTACT page. For Vocal Coaching, click the COACHING tab above. The JUKEBOX can be manipulated at the top of the page (faint to see). You can turn it OFF or scroll through to your favorites. The playlist: If I Spoke French – The Irises – Halloween Birthday – Moonshine in Nashville – You Turned the Tables on Me – Two Afternoons in December – I Will – They Can’t Drive You Crazy if You Don’t Get in the Car – My First Love – At Last – Boyfriends – The Pirate. 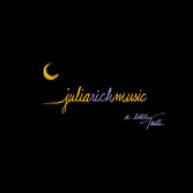 Almost all are Julia’s original compositions, arranged by Tony Migliore. 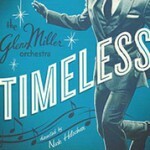 The World Famous Glenn Miller Orchestra’s latest CD, TIMELESS, is now available at glennmillerorchestra.com. 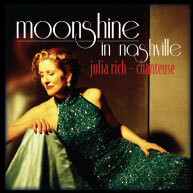 Recorded live in the studio and directed by Nick Hilscher, it features Nick Hilscher, Julia Rich, and the Moonlight Serenaders. 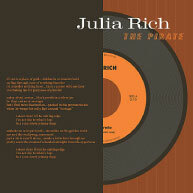 Julia sings on several tracks including A-Tisket, A-Tasket, Chattanooga Choo Choo and Don’t Sit Under the Apple Tree. Already a fan favorite, this compilation is a treat. The band has such energy and the sound is out of this world! 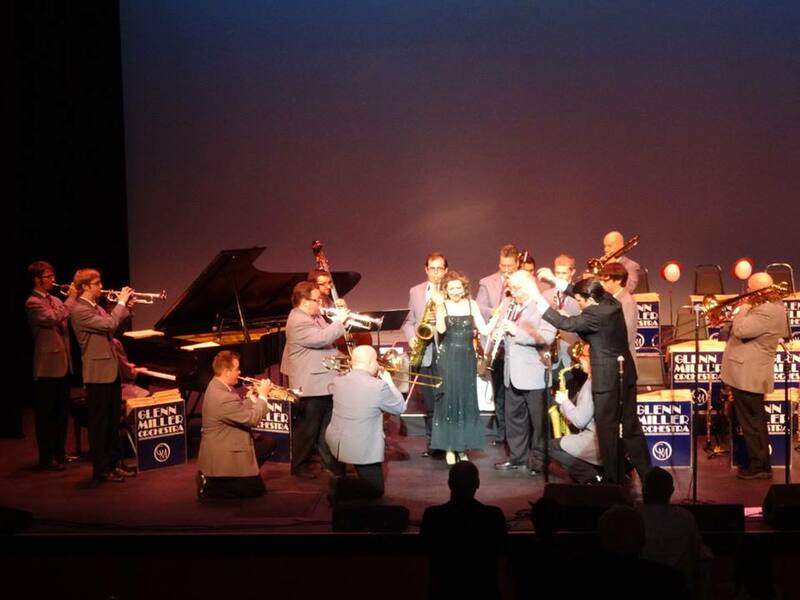 The World Famous Glenn Miller Orchestra continues to put audiences “In the Mood” with year-round touring. 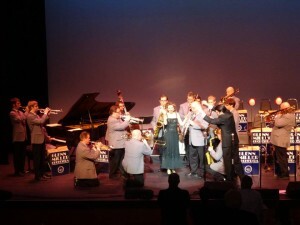 For info and itinerary, visit www.glennmillerorchestra.com.